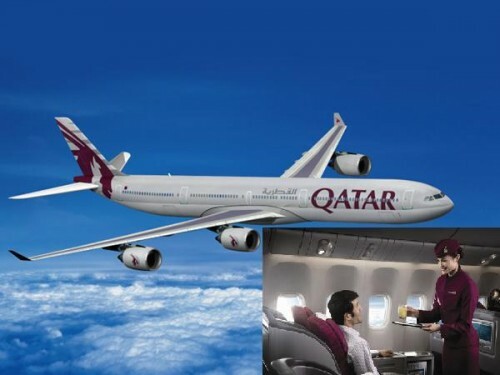 Qatar Airways has flown away with the title of World’s Best Airline for the second consecutive year. 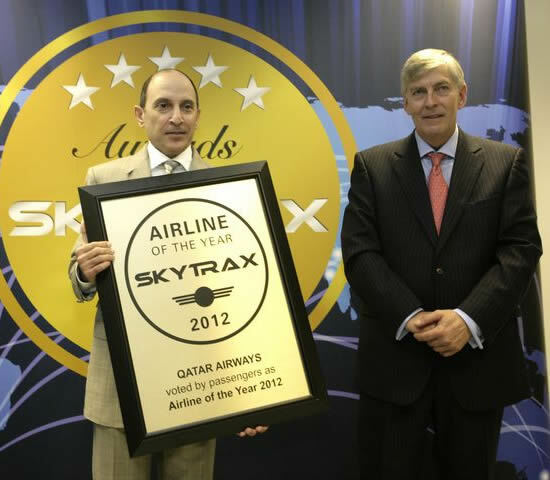 It took the Airline of the Year prize in Skytrax’s annual World Airline Awards, announced at the Farnborough International Airshow in England. South Korea’s Asiana Airlines and Singapore Airlines followed in second and third place. Air New Zealand and Qantas Airways fell out of the top 10 — spots they won last year — while ANA All Nippon Airways and Malaysia Airlines made their top 10 debuts. The top 10 was dominated by airlines from Asia and the Middle East. Skytrax collected opinions from 18 million international fliers between July 2011 and June 2012 on different aspects of airline passenger experience — from check-in to in-flight entertainment. Etihad Airways won Best First Class Airline, taking home the Best First Class Catering and Best First Class Seat awards too. Cathay Pacific has the Best Business Class while Singapore Airlines won the Best Economy Class award, and also the Best Economy Class Catering award. The Best Airline Signature Dish and Best Cabin Staff went to Malaysia Airlines. The Kuala Lumpur-based carrier serves delicious satay chicken and beef sticks onboard.